Look Beautiful Without Having the Need To Scratch Your Skin from Time to Time! Looking for the appropriate jewelry that will make you look gorgeous and fabulous without irritating your skin can actually be a dare for many people. A lot of jewelry makers and factories utilize metal alloys that bring allergic reactions to some people’s sensitive skin, for them to lower their costs of production. Thus, opting for the hypoallergenic types of jewelry pieces will absolutely help you achieve the fabulousness that you’ve been dreaming of without the risk of having a problem with your skin. Loads of troubles have been resolved by the modern technology. And luckily, one of it was the implementation of hypoallergenic materials that are now used in making dazzling pieces of jewelry to make you look beautiful and allergy free. Let’s find out where we can find those elegant pieces of materials. Pieces of jewelry, as personal collections, are one of the perfect and ideal gifts for occasions, celebrations and other kinds of formal events. The following pieces are also suitable to match with diamonds and gemstones. To start of the list is the 14-Karat Gold. Opting for the pieces that are higher than 14-Karat, is a wise investment. Usually, those that possess lower contain other metal alloys and nickel which can cause allergy. Second one is the Platinum. Its appearance is usually silvery-white and absolutely hypoallergenic. The third one in the finest hypoallergenic list is the Argentium Sterling Silver. For copper, argentium is a hypoallergenic substitute. And last but totally not the least, is the Palladium. The Palladium is a type of white-gold jewelry. Palladium is somehow similar to Platinum. However, it is a kind of jewelry that is less expensive and good thing about it is that, it is less likely to cause skin irritations and allergies when worn. Now that you have the ideas on what type of jewelry you should be purchasing to avoid infuriating your skin, you should now be aware of it every time you look for an elegant piece to match with your diamonds and other gemstones. The next thing to know is: where can we find them? Seeking for hypoallergenic jewelry that will not harm your skin but will still make you look elegant and stunning is one of the dilemmas that we may face on the lookout for those materials. Mike Nekta, a third Generation diamond expert and jewelry designer who specializes in making handcrafted diamond rings and other bridal jewelry, offers pieces that are purely made from Palladium that is known to be a better option for those people who are allergic to other precious and alloy metals. Not only he provides stunning and elegant pieces of Palladium, but he also creates striking pieces of platinum, white gold, yellow gold, and rose gold. Mike Nekta’s collection symbolizes sophistication, elegance, and flair. From design to distribution, he provides utmost integrity in every step. For more information about Mike Nekta’s fine pieces of jewelries, visit http://mikenekta.com. So, you found the woman of your dreams and want to tie the know with her. Make a different way of proposing to her. If you are tuck wondering how to do a unique marriage proposal and wish that everything must be memorable and original, well Congratulations my friend you’ve found the right place. Listen up! Do something totally different and unexpected so it won’t be boring. As what the Ocam’s Razor Law stated (for most scientists) “When you have two competing theories that make exactly the same predictions, the simpler one is the better.” I also believe that the simpler the proposal idea is kept, the better is its outcome. Planning something extravagant and complicated may result to ruining your marriage proposal instead of making memorable and special. Why not also try convincing your girlfriend to the cinema one day. Then arrange a fake trailer before the movie that chronicled your journey to the theatre to pop the question, with predictably moving results. At least no one could say you didn’t put the effort in. Love the delicious proposal? Make her heart melt and her mouth water. You can walk into your favorite ice cream shop. Ask the crew to display new mystery flavor that coincidentally included all of your girlfriend’s favorite ice cream: After both of you have tasted the new flavour, the shop owner pointed to its name, written on the menu board: New Flavor: (Your Girlfriend’s name) will you marry me? Then kneel down and give her the ring. Is your Girlfriend a netizen or cybernaut type? Why not create a website dedicated for her? Using cartoons, make a site that chronicled how you first met. Scrolling down is the big question: Will you marry me? and a button to click Yes. And when she clicked the button, your personal message will pop up saying you’re the luckiest and happiest man in the world or any message that comes from your heart. If you want your family, friends and mutual friends, be witness to your proposal, invite them for a party. Have everyone in attendance put on a T-shirt bearing one of the letters in the phrase “Will your marry me?” When you walk into the room with your girlfriend, ask a group picture and let the t-shirts speak for themselves. Want your marriage proposal at-home? Write “Will you marry me” on a mirror of comfort room before your girlfriend woke up. Early morning ask her to brush her teeth and take a bath as you’re inviting her to hang out. As she read the message bring her the ring and wear it on her hands. Spell your proposal out of the glow-in-the dark star stickers on the ceiling. Get into bed, turn off the lights and wait for the inevitable gasp. Play your recorded voice on a CD with your message of how you really love her. You can also make your own message in a bottle. On the night before the beach day you’ve planned, write a love poem on a piece of parchment paper, roll it into an antique bottle with a cork and bury it in a well-marked spot in the sand near your towels. Make sure you “find” the bottle as you dig together and have the ring at the ready. So these are just examples of marriage proposals to surprise your wife to be. Believe it or not most of the successful and amazing wedding proposals were the ones that were the least expensive and most creative. The keys are talk to her parents, surprise her, pick the best spot, take the perfect time, tell her the reason, be creative, find the right engagement ring and spread the news! Since the engagement ring is the symbol of your lifetime commitment to each other, make certain you pick the right style and design that suit your taste. To get the best value for your money when selecting the perfect engagement ring, you may visit New York City Diamond District. One of the most renowned stores there is the showroom of Mike Nekta. Mike Nekta is a jewelry expert New York. Mike Nekta is third generation jewelry expert and jewelry designer in New York, expert in jewelry designs. He has numerous created numerously beautifully detailed diamond engagement rings, wedding bands out of the New York Diamond District. He can help you in selecting perfect engagement ring. You can also ask him to customize a diamond engagement ring. To give you an idea about engagement rings, bridal jewelry and Jewelry advice, Check out http://mikenekta.com. He would be glad to help you. 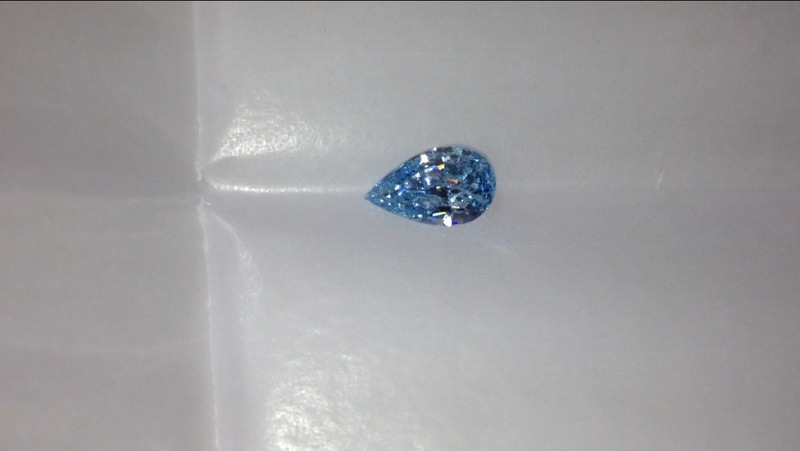 Add this beautiful vivid greenish blue diamond to your collection. Up for grabs is this extremely symmetrical pear-shaped diamond weighing in at 1.58 carats. According to the GIA the color is graded as Vivid Greenish Blue with VS2 Clarity. Fancy colored blue, pink,orange , green and yellow diamonds are gaining popularity and their prices are rising every year. Records are broken for highest price paid for a diamond on auction every year at Sotheby’s and Christie’s auctions for vivid color the diamond such as this one. Call Mike Nekta in 212–921–4647 for more information on buying this Diamond or creative custom jewelry piece to hold this gem, for yourself. Regardless of her being a total apprentice UK jewelry designer in the business has already achieved the customer bonanza with her latest custom-made pieces for singer, composer, and superstar Adele. The necklace features Adele’s own penmanship in gold that spells out the word “Mummy” in honor of her son’s first birthday. The U.K Jewelry designer turned down herself from commenting on her well-known client, who recently posted snapshots of the necklace and its companion bracelet on Twitter. But the designer shared some information about the process of making the wonderful and astonishing jewelry. “The client hand writes the word and I take a print and put it straight onto metal. Then I saw it out of its frame of metal and work on it in more detail.” U.K Jewelry designer stated. Another jewelry expert in New York is Mike Nekta, who creates customized necklaces, rings, bracelets, earrings or any pieces of jewelry. He is a third generation jewelry expert in New York has built his reputation on over 100 carats of diamond necklace wore by Lilly Ghalichi of Shahs of Sunset. Lilly Ghalichi is a Persian fashion designer, attorney, blogger and T.V star who has a net worth of $2.5 million. In an interview of “Live by Bravo Show” hosted by Andy Cohen, obviously the host noticed the elegance and eye-catching loveliness of Lilly Ghalichi’s necklace. According to the Persian model it was a custom made necklace with her favorite colors. To attract a more high-end clientele and meet the increased demand from existing customers and burnish his diamond Jewelry, Engagement Rings and Bridal Jewelry brands, Mike Nekta stay innovative and provide the best and most updated designs using the most update production techniques available to provide the very best designs and craftsmanship. Apart from being expert in creating custom made necklaces for different special occasion, Mike Nekta also believes that the customer service is the overall activity of identifying, satisfying and establishing customer needs. That’s why his giving and doing his 100 % best to provide the utmost integrity in every step from design to distribution. Celtic style wedding man by my connect in the New York City diamond district custom-made heavyweight gold wedding. One of the only parts of the wedding that stays with you forever is your wedding band custom-made handmade wedding bands last lifetime and are passed down from generation to generation.